High blood sugar, also known as hyperglycemia, is a common symptom of diabetes characterized by high levels of glucose in the blood. This is often due to insufficient levels of the hormone insulin, which is responsible for managing the use of glucose for energy. There are several medical options for treating high blood sugar, as well as many herbs that produce a similar blood-sugar-lowering effect. Gymnema slyvestre is a type of plant native to India with a history of use as a folk and homeopathic medicine for treating inflammation and metabolic disorder symptoms. The herb, which contains active compounds known as gymnemic acids, has antidiabetic properties that make it useful in lowering high blood sugar. Used as both a leaf extract and as a tea, Gymnema sylvestre delays the absorption of glucose in the blood and lowers overall blood sugar, making it a useful treatment for diabetic adults. The herb may also interfere with the ability to taste sweet foods, potentially causing people to lower their sugar intake. Commonly used as a flavoring agent in foods, oregano is an herb rich in antioxidants, which protect cells in the body against damage from compounds called free radicals. These antioxidants have a mild inhibiting effect on amylase, an enzyme that breaks starch into sugar, which can be beneficial in managing high blood sugar. According to a study published in 2004 in the “Asia Pacific Journal of Clinical Nutrition,” oregano reduces the activity of this enzyme by 9 percent to 54 percent, making it a viable option to prevent diabetes complications and hyperglycemia. Sage is another herb commonly used in cooking, and it has a wide range of health benefits that include anti-inflammatory properties and antioxidants. 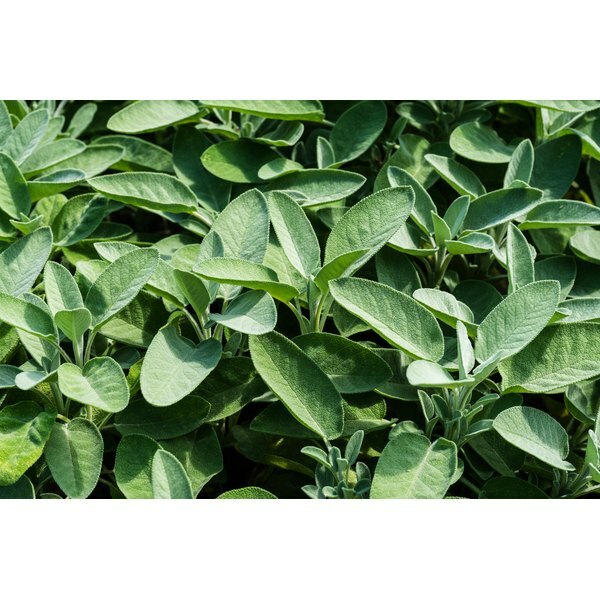 According to a study published in March 2009 in “Diabetes and Metabolic Syndrome,” diabetic rats that consumed sage extract daily showed reduced levels of blood sugar, triglycerides and cholesterol. This suggests that sage is a useful herb in lowering blood sugar and in preventing other health conditions commonly associated with obesity, such as hypertension and heart disease. Garlic is known for its strong flavor and potential health benefits related to the heart, but it may also be useful in managing high blood sugar. According to a study published in March 2006 in “The Journal of Nutrition,” 50 milligrams of raw garlic per kilogram of body weight was ineffective in lowering blood sugar in healthy rats, but 500 milligrams of raw garlic significantly lowered blood sugar. Boiled garlic does not produce the same effect. Can Certain Herbs Remove Plaque From the Body?